Bulletproof™ Collagen Protein makes it easy for your body to get the vital amino acids found in bone broth, but without the time-consuming preparation. And because collagen is flavorless and blends quickly without lumps, it’s one of the easiest ways to add a protein boost to your smoothies and soups. Collagen is the most abundant protein found in the body, making up about 30% to 35% of the total. 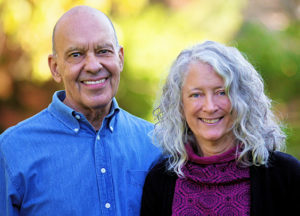 Collagen is in the connective tissue in eyes, skin, hair, nails, bones, lungs, heart, and liver. It has been called the “glue” that holds the body together. Skin and connective tissue contain special cells called fibroblasts that manufacture collagen. They can crank out collagen as long as they have plenty of glycine, proline, and hydroxyproline. The best way to get those amino acids is by consuming hydrolyzed collagen that has been broken down to increase its bioavailability. Collagen can strengthen joints, increasing their resilience. Several studies have noted that taking hydrolyzed collagen decreases joint pain after exercise and makes joints more flexible. Collagen is a great hack for endurance athletes, particularly if their preferred exercise is tough on the joints – long-distance running is the worst offender, but most sports take their toll. Collagen is the main protein that the body recruits to build everything from connective tissue to the tendons that attach muscles to bone. Collagen forms a flexible matrix, covering new tissue while still allowing it to move. It acts as a sort of scaffold that holds everything together while other cells rebuild. The body’s need for collagen rises during injury. If you’re recovering from an injury, try taking 10g of collagen or Collagelatin™, 2-3 times per day. 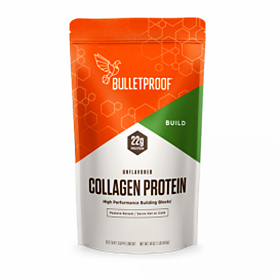 Bulletproof Collagen is available in our office for $40. To schedule an appointment, or to discuss your specific health issues, give us a call today: 650-961-1660. This entry was posted in Anti-Aging, Diet and Nutrition, Exercise, Healing Injuries, Natural Therapies, Nature Healing, Naturopathy, Pain. Bookmark the permalink.